AirkingRolex Air-King is one of the most popular Rolex watches of all time, a model that deserves a special appreciation due to its iconic status and distinguished history. Rolex has made and still produces many famous collections, but the Air-King is its longest continuously manufactured series. The explanation for this is quite simple. With such a timeless design, accurate time telling capabilities and durability it’s no wonder that watches enthusiasts are so drawn to it. The beginnings of this outstanding timepiece are full of courage and adventures. 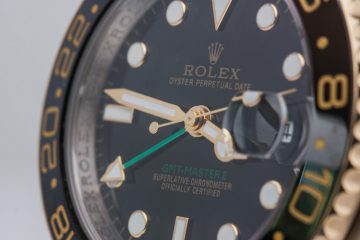 At first, it was called the Rolex Oyster Perpetual and it was the preferred instrument for RAF fighter pilots during World War II. The high visibility of the large 34 mm dial that had legible numerals was critical for completing their dangerous missions. The name was then changed into “Air King” as a tribute to these fierce and courageous pilots. In 1945, Rolex released a series of tribute series: Air-Lion, Air-Giant, Air-Tiger and Air-King, but the most successful one was the Air-King which still has an impressive number of fans. 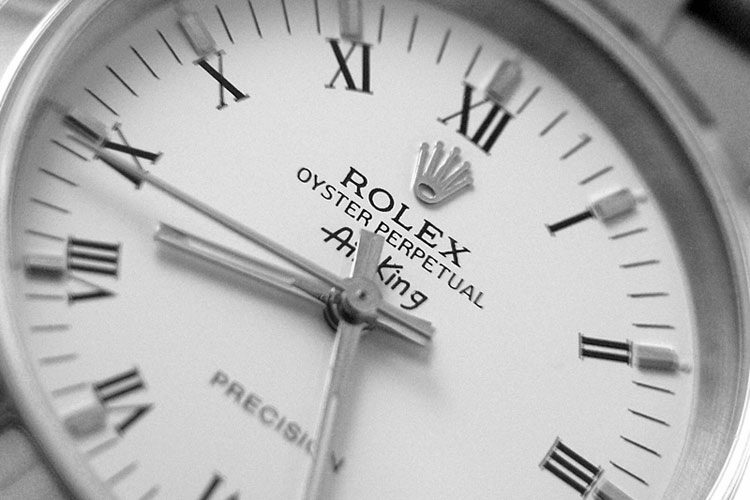 Its beauty lays in the simplicity of the dial. 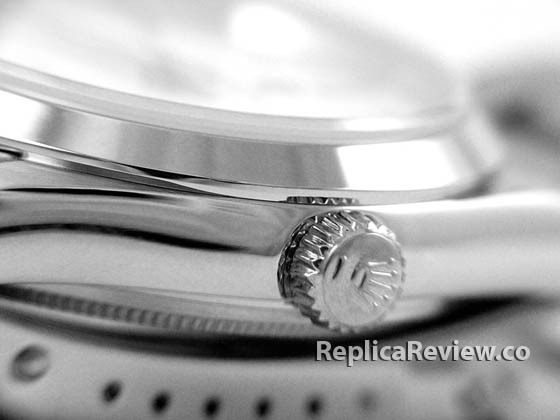 Due to its lack of aesthetic embellishments, the watch is pretty easy to replicate. 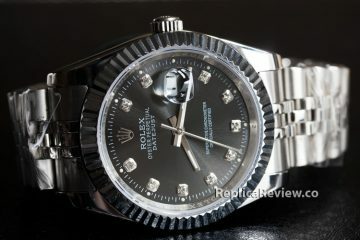 There is an endless offer of Air King fakes on the Internet and if you know a thing or two about the design of the original product then buying a perfect clone is a real piece of cake. Here is how to tell them apart! As I was telling you earlier, replicating the Air-King isn’t that difficult. And everything is because it has been on the market for so long and due to its incredibly simple dial layout. 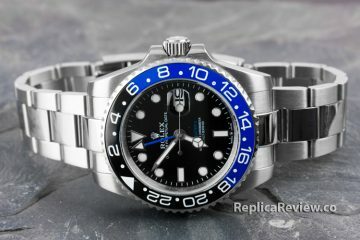 Let’s take the replica and authentic watch from these pictures as an example. The first impression you get is that the products are identical. You can’t see any visible differences. 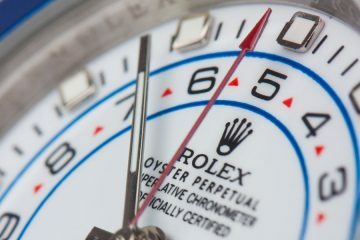 Only a trained eye is able to spot the only two flaws on the replica dial- the smaller space between the Roman numerals and the rectangular hour markers, and the larger spacing between the two words “Swiss Made” located below the 6 o’clock hour. 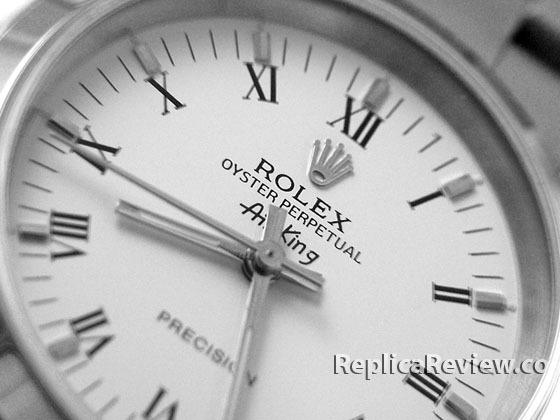 No matter how much you try to find any other notable defects on the dial, you won’t succeed. The hands, the font, the size of the markers and indexes, and the color of the dial are all the same. 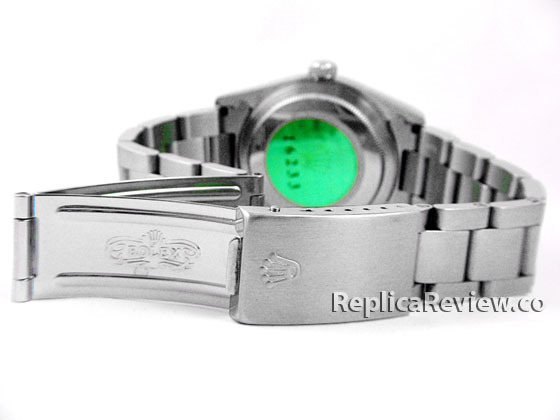 The case, bezel and bracelet of the authentic Air-King are manufactured from 904L solid stainless steel. The case features a nice contrast between the shiny polished plain bezel and the rugged brushed case. The effect augments the understated beauty of this timepiece. 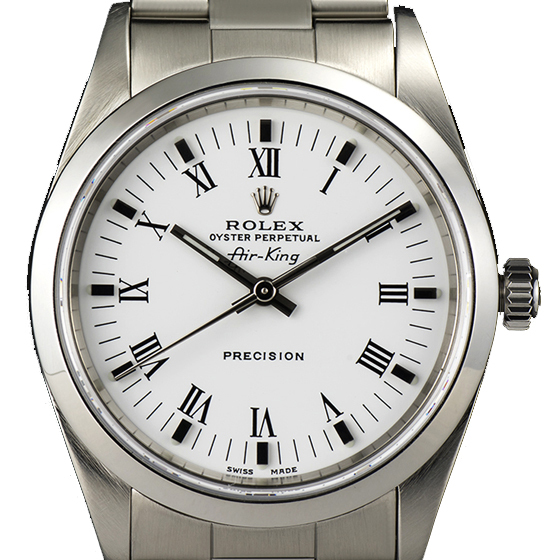 The winding crown comes with the easy grip linear raised motif and the small Rolex crown on its top part. 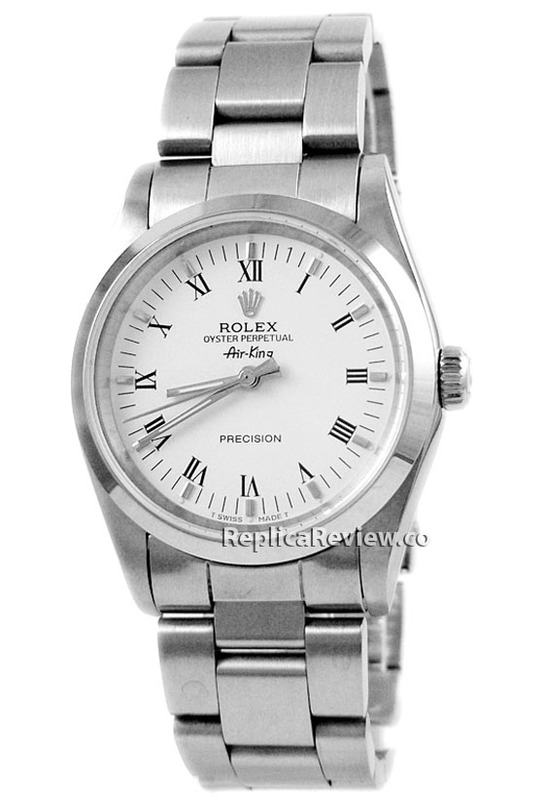 Impressively enough, the replica from these images uses a very good quality stainless steel that has been correctly crafted as to copy the authentic watch flawlessly. The bracelet is as nice as the rest of the fake watch. 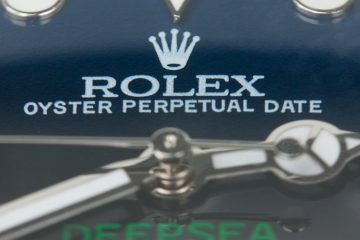 It is made from solid stainless steel and it respects all the details of the original flat 3 links piece Oyster band, including the Oyster clasp which comes with the iconic Rolex embossed logo on its inside folding part. 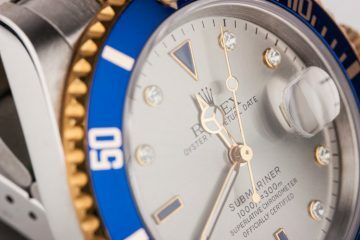 The Rolex Air-King isn’t just an understated luxury watch, but also a very important character in the history and evolution of wristwatches as we know them. Its complex identity is the result of decades of perfecting both its design and functionality. There is probably no match out there for this iconic and famous model.